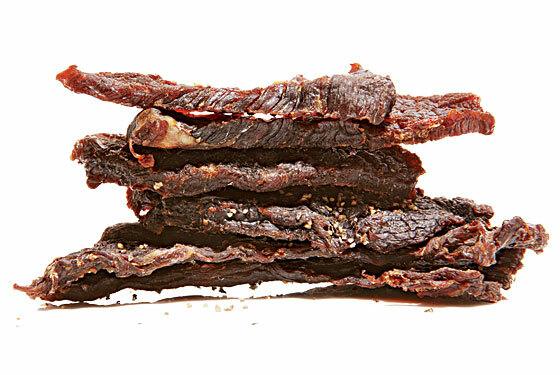 You may not have even noticed it, but New York is in the midst of a jerky craze. 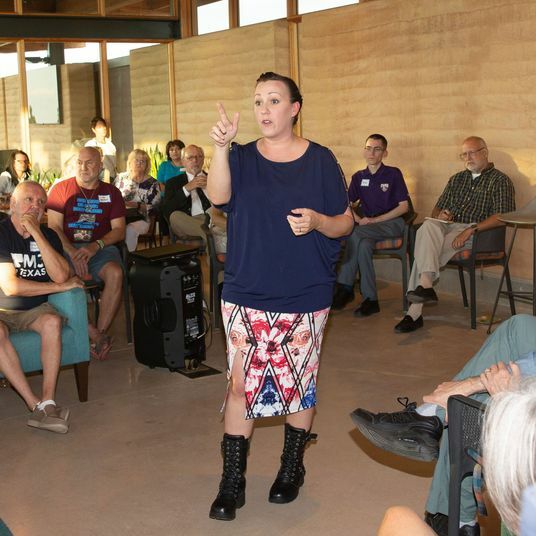 Suddenly, the barklike jawbreakers—once a survivalist food associated with Native Americans and fur trappers, and more recently with nature hikers and liquor-store habitués—are everywhere. A bartender named Bam Romero might have spearheaded the trend two years ago, when he started selling his home recipe to regulars at the Greenwood Heights pizzeria, Toby’s Public House. “At first, I gave it away for free, and then everyone was hooked on it,” he says, outlining his business model. Now Bam traffics in five types of jerky, including one marinated in root beer and another called “Kill Me,” which goes for $5 a Ziploc baggie. For most of the new breed of hobby jerkyist, beef quality is key. At her new Iris Cafe in Brooklyn Heights, Rachel Graville serves the two flavors of Gerald Jerky she makes from Dickson’s Farmstand Meats’ grass-fed top round: Peppered and Spicy Asian, marinated with ingredients like Manhattan Special coffee soda or local beer. A three-month apprenticeship at Pat La Frieda furnished invaluable experience in trimming meat; when it comes to jerky, says Graville, “the leaner the better.” Chris Woehrle and Robert Stout of Kings County Jerky Co. didn’t stage at Fleisher’s, but they have used the boutique butcher’s grass-fed New York State eye of round in their product, which the Bed-Stuy neighbors learned to make by scouring the Internet. Now in the process of moving their operation from a terrace smoker to a commercial facility, they plan to start selling their three flavors (orange-ginger, classic, and bulgogi) this spring. The burgeoning category even has a bespoke model, SlantShack Jerky out of Jersey City, whose “Build-a-Jerky” feature starts at $5, and allows online customers to select meat (supermarket top round or turkey), thickness, rub (like Jerk McGurk’s Wild RubDown), and glaze (Sesameshire, for one). The product sold out at its Greenpoint Food Market debut in two hours, and will make an encore appearance February 13. Beyond these new brands, the super-protein strips are turning up with increasing frequency on restaurant menus, at places like Umi Nom and the Vanderbilt in Brooklyn. Even upscale Manhattan steakhouses are getting in on the act. After chomping down on a Thai restaurant’s deep-fried jerky that he says was delicious but nearly broke his jaw, Strip House chef John Schenk was inspired “to do a version that wasn’t so lethal.” His take is marinated for 36 hours, dried in a 200-degree oven, and then fried to order in goose fat ($11). By jerky standards, it’s positively tender.Toby’s Public House, 686 Sixth Ave., at 21st St., Greenwood Heights; 718-788-1186; Iris Cafe, 20 Columbia Pl., nr. Joralemon St., Brooklyn Hts. ; 718-722-7395; craftjerky.com; slantshackjerky.com; Umi Nom 433 DeKalb Ave., nr. Classon Ave., Clinton Hill; 718-789-8806; The Vanderbilt, 570 Vanderbilt Ave., at Bergen St., Prospect Hts. ; 718-623-0570; Strip House, 13 E. 12 St., nr. University Pl. ; 212-328-0000.